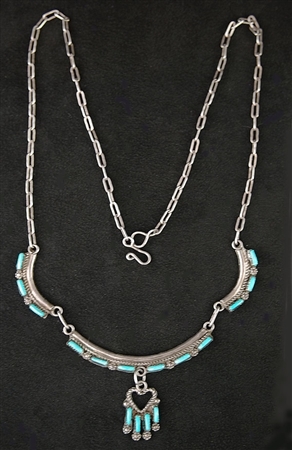 This lovely collar necklace is hand fabricated Zuni work. 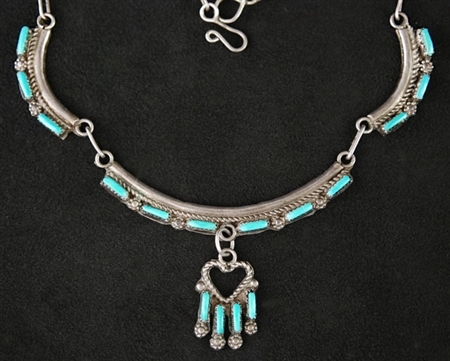 It is set with 16 hand cut natural, turquoise cabochons that are carefully set in fine hand crafted bezels. This necklace dated to the 1970's, and has a wonderful design. Note the tiny, tiny stamped silver drops between each stone. 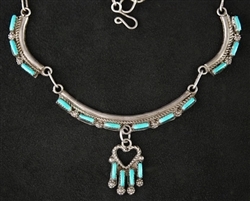 Beautifully crafted and lovely on the neck. 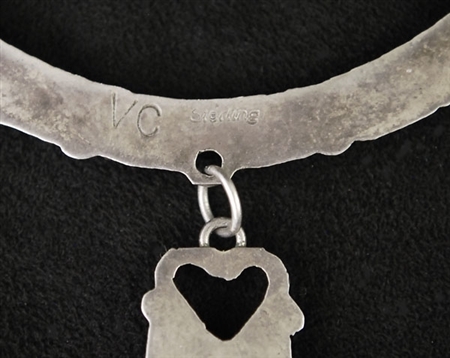 Hallmarked VC. The total necklace length measures 19" long, which includes a hand made link chain that allows for your desired length.